Overwatch’s new Storm Rising PvE event begins with a fantastic cutscene, but ends with a more enigmatic one, which may be teasing the game’s next playable character. Warning: If you haven’t played Overwatch’s Storm Rising event and want to save the surprise for yourself, go no further. After finishing the Storm Rising mode, you’ll be treated to a small clip of Mercy, Tracer, Winston and Genji capturing their target, Maximilien. After Maximilien asks what Overwatch wants from him, Mercy answers with “an introduction”. The scene changes to the game’s Temple of Anubis setting, and we’re shown Doomfist as he attempts to ask someone to join forces with the Talon organisation. Altering the image a little reveals much more of the mystery character’s look. 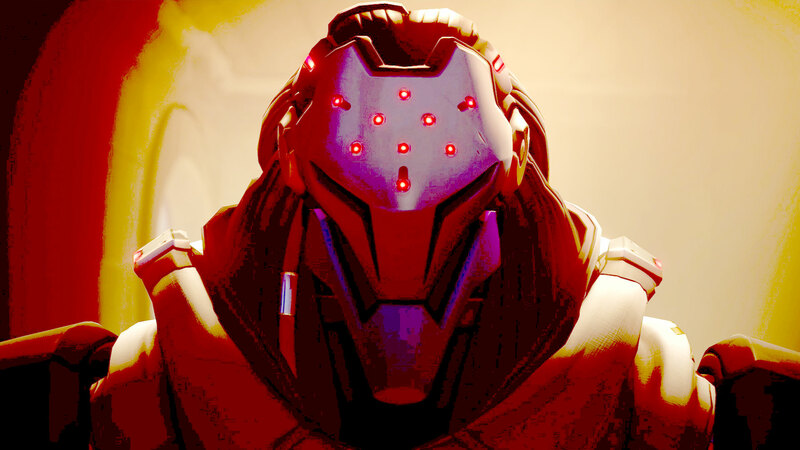 His face bears a striking resemblance to Reaper’s mask, but the vocal performance seems to be coming from a different actor. Could this be someone involved in Gabriel Reyes’ resurrection? Whoever this character is, it seems likely that he’ll be the next Overwatch character. On a livestream last night, Overwatch boss Jeff Kaplan made clear that neither Sojourn (a background character that appears in the new event) nor Echo (who appeared at the end of Ashe and McCree’s animated short) will be the next hero. The general cliffhanger-y air of this sequence seems to point to this character being the next to appear – but it seems we’ll have to wait to find out who he is. Joe Skrebels is IGN’s UK Deputy Editor, and really likes it when he gets to play Overwatch for legitimate work reasons. Follow him on Twitter.